A Range of Possibilities. Order Now! What would you pay for additional counter space? 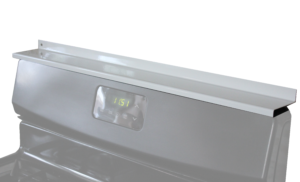 There’s no need for a costly kitchen renovation – StoveShelf™ instantly provides 30″ of usable storage in a snap. Free up your kitchen counter top of that bulky spice rack, and store those high use spices within arms reach. 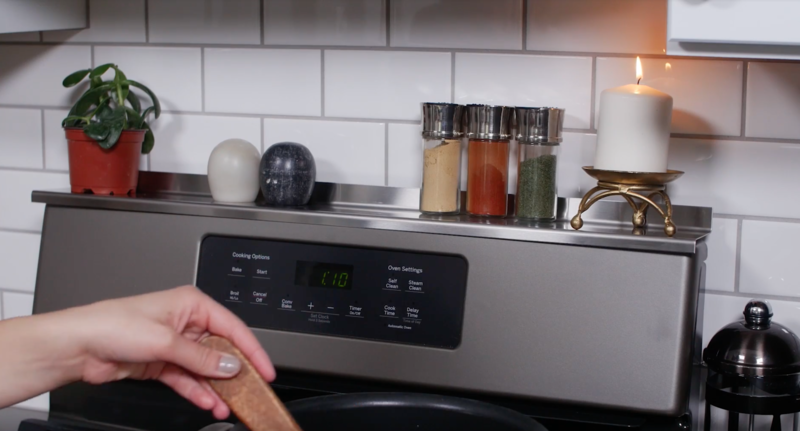 StoveShelf™ is the only kitchen gadget you’ll use every single day. 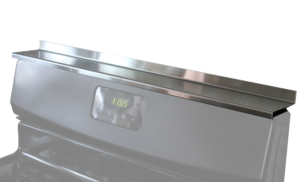 Whether your kitchen stove is flat or slightly curved, StoveShelf™ works! 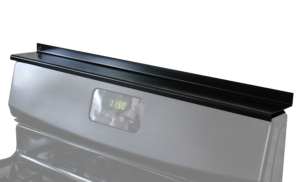 The magnets on StoveShelf™ are actually positioned with curved stoves in mind. 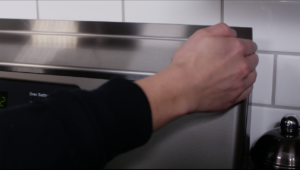 Even if there is a slight gap on either end due to the curved nature of your stove, StoveShelf™ holds with ample force. *If you have an extremely curved stove, or if you have any doubts whether StoveShelf™ is compatible with your stove, please contact us for assistance. Food-grade stainless steel as well as black and white powder coated options mean StoveShelf™ will complement any kitchen décor. 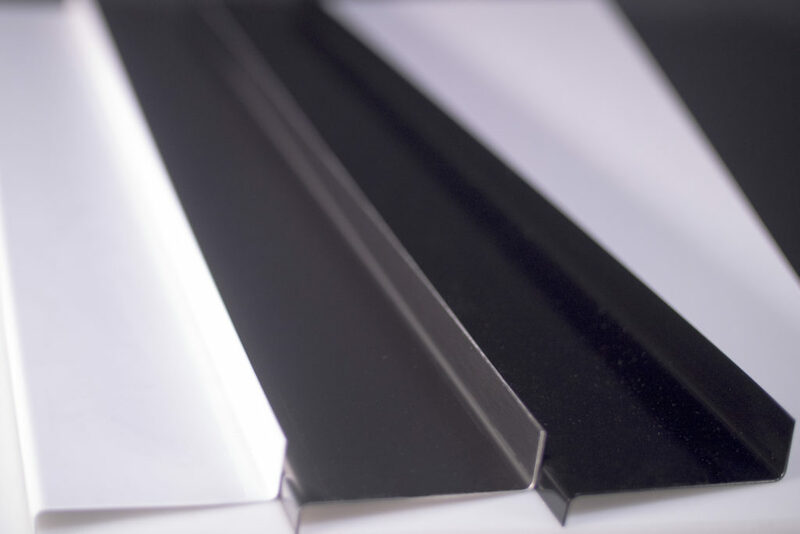 Which finish best matches your kitchen stove? Don’t drill holes into your kitchen backsplash! 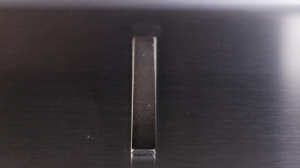 Our patent-pending magnetic design means no drills, no screws, no holes, no glues, and best of all – NO INSTALLATION! Simply take your StoveShelf™ out of the box, set it on your stove, and revel in your good fortune. You have just increased your kitchen storage space; it’s that easy. The high-quality stainless steel and black and white powder coated finishes allow for easy clean-up of any kitchen spill or splatter. 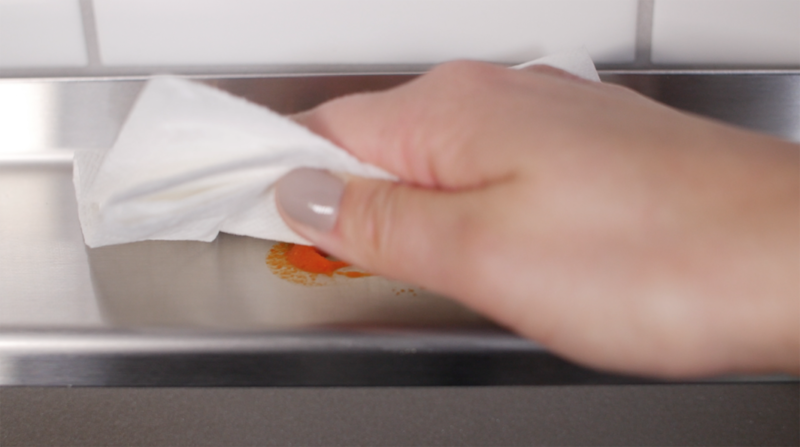 Go ahead and clean StoveShelf™ as you would your kitchen counter tops or any other kitchen appliance. Hand wash only. Your StoveShelf™ is covered by our Limited Warranty Policy. If you’re not satisfied with your StoveShelf™ for any reason (seems highly unlikely), simply return it to us within 30 days following purchase for a full, no questions asked refund. 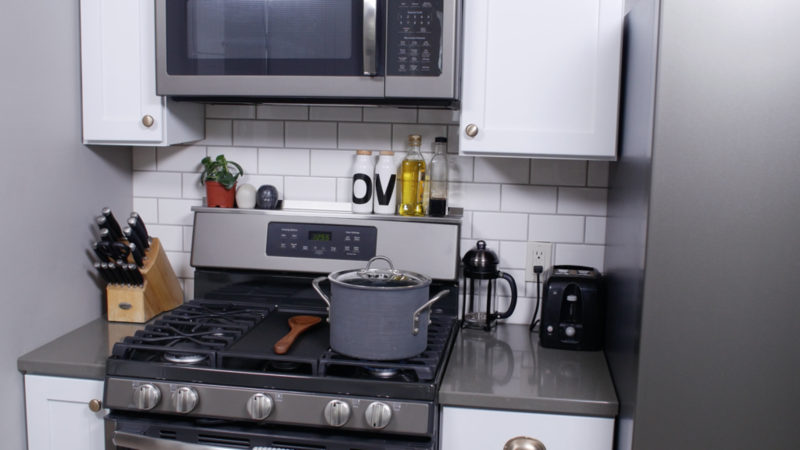 Get StoveShelf™ for your kitchen today!